Your most memorable Valentine’s Day yet is waiting on the water, when you and your sweetheart join us aboard the Odyssey for a romantic dinner. 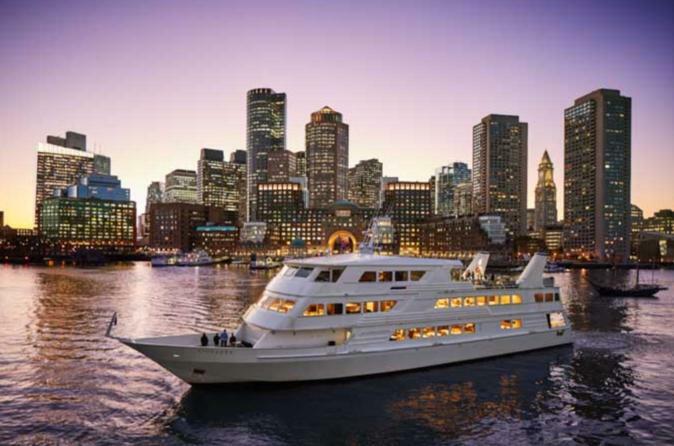 For the ultimate in elegance, you can't go past this three-hour dinner cruise on Boston's famous harbor. Enjoy fine dining, delicious wines, and entertainment perfectly suited to the evening. Sit and relax as you listen to the music or take a stroll on the decks of Boston's premier dining ship as the city floats on by. Enjoy live entertainment for boarding and food service paired with an entertaining DJ that will get you up and dancing after their meal. Return, hours later. Relaxed. Refreshed. As you depart, you'll find your Souvenir photo ready for purchase.